Forgiving can be tough – but it definitely beats holding onto a grudge. Shake the old crap away and enjoy your weekend! and think that the other person will die. Being a cold-season festival, Halloween is the perfect time to pause and think about how things actually are in our lives and what heavy burdens we do not wish to carry through these harder, leaner times. Some of this heavy-heartedness may relate to old relationships or grievances. Some may relate to negative feelings we hold onto tightly about others and even a lack of compassion for the “mistakes” we have ourselves made. It is said that it takes a “big person to apologize” but in many ways it takes an even bigger person to forgive. When we hold grudges, the negative energy is incredibly toxic. It is like drinking a poison and expecting the “other” unforgiven person to die! Whilst we may even harbor feelings of revenge (and to be honest, that does feel good for a while), it is important that we move those feelings along to forgiveness and release as soon as possible for our own health and wellbeing. 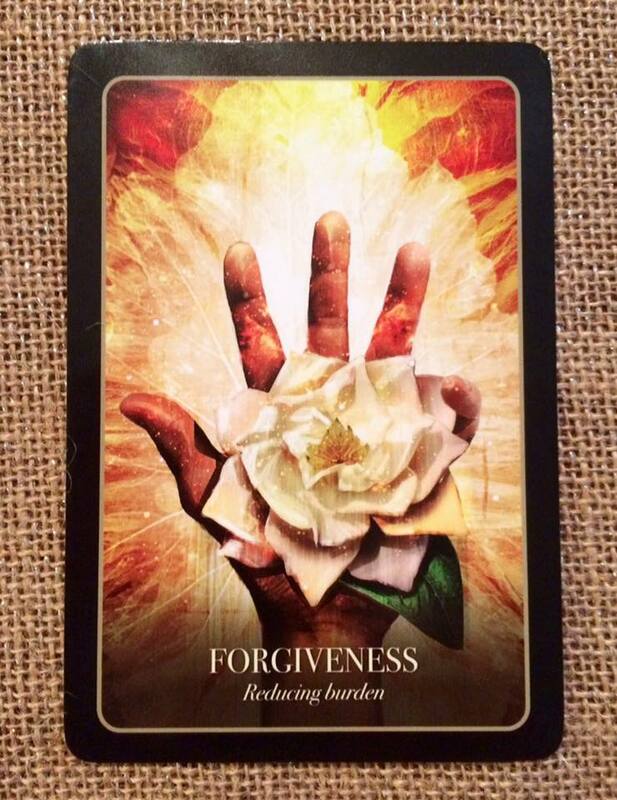 If you have chosen this card, think about who it is that you could be forgiving – and that includes yourself.